Wisconsin State Journal Friday Nov. 17, 1922 William Mason was born in Verona, WI. March 4, 1984 and died there Nov. 17, 1922. The deceased was a son of Mr. and Mrs. Victor H. Mason and with the exception of his time in Army service, spent all his life at Verona. On March 30, 1921, he was united in marriage to Irene Gordon. He is survived by his wife, his parents, two sisters Mrs. Elmer..
Verona World War Veteran Stricken Frank Lindsey Drops Lifeless in Babershop; Village Grieves (State Journal News Service) Verona, WI - Frank Lindsay World War veteran, was found unconscious in his barbershop here this morning about 8 o'clock and died two hours late. Dr. Joseph Dean, Madison, who was called, said he believed death was caused by a broken blood vessel in the head. 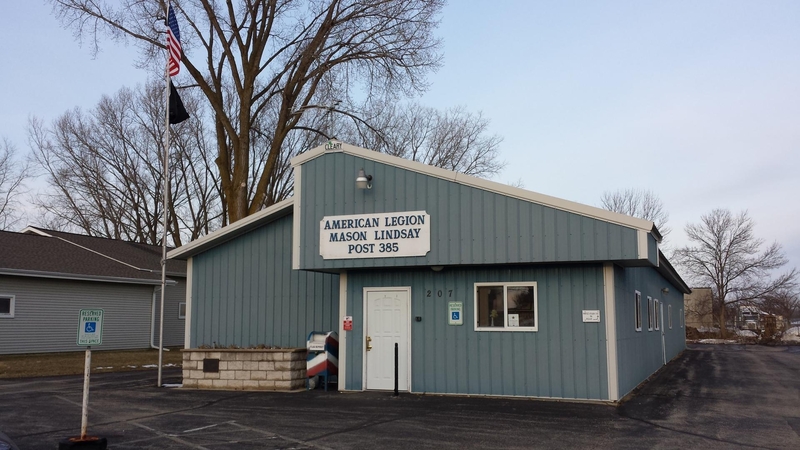 Lindsay, who is well known in the village, complained of a headache..
As if there were not enough social avenues at the time, on November 20, 1933 nineteen World War I veterans organized Verona's first American Legion Post, Mason-Lindsay Post 385. The post was named in honor of William Mason and Frank Lindsay. The Post was the brainchild of eleven men who met at the Verona Village Hall in September of that same year. Those men included: William Kunstman, M.C. 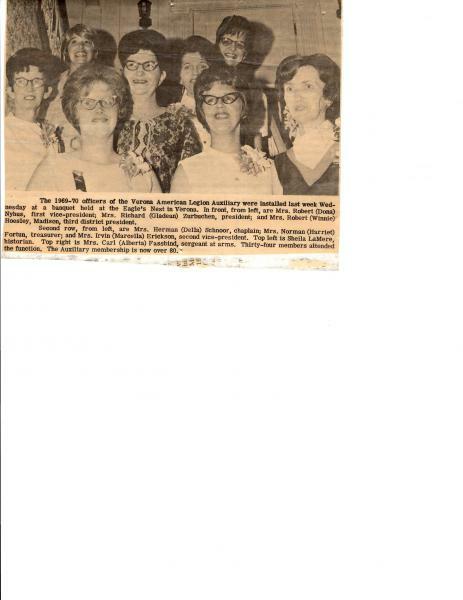 Hanson, George McKee, John Olday, John Batker,.. 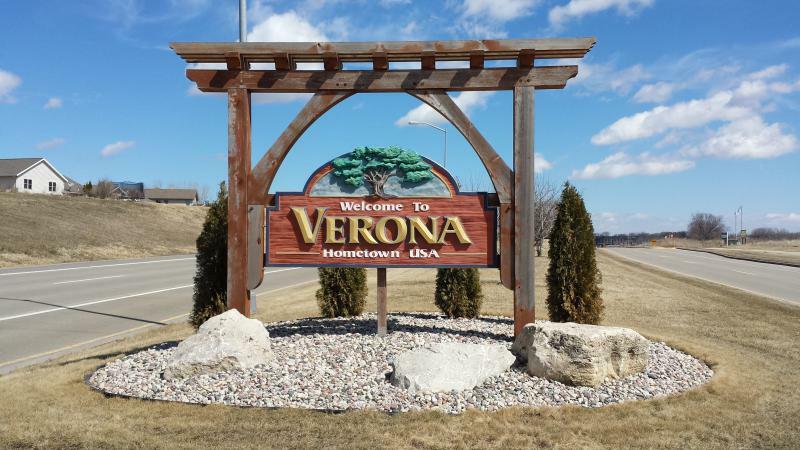 The title was bestowed on Verona by members of the U.S. Army's 101st Airborne Division serving in Vietnam after the Verona Press printed a letter to the editor from one of its servicemen, Donald Schmidt (who was a member of our Post prior to transferring to another). 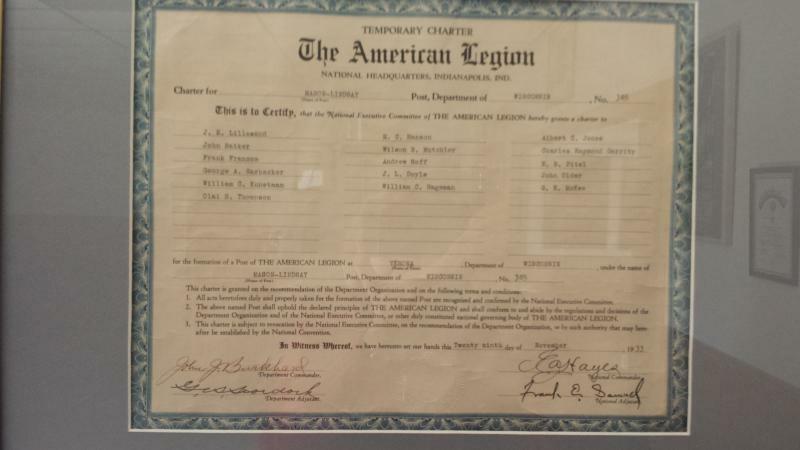 Because of the free subscription sent to him (by The American Legion Auxiliary), the printing of his letter and certain nostalgic aspects his fellow servicemen saw in Schimdt's..
Each year members of American Legion Post 385 and VFW Post 8653 ban together to honor Verona's fallen heroes.